Email programs rely on a web browser when you click a link to download items directly from your email. If you're downloading one of our plugins and instead of a .zip file you get a folder, your computer is unzipping the archive immediately. The steps to change this behavior depend on the browser you use to download the file. After you change the behavior, return to MyYoast or your email and download the plugin again. If the file continues to unzip, please see these suggestions. This is a feature in Safari (for Macs only) that's easily disabled by going into your Safari preferences and unchecking the Open "Safe" files box. 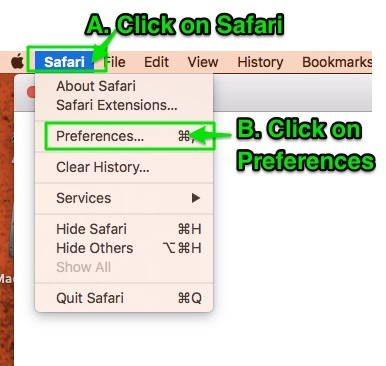 Click on the Safari in the menu and then Preferences. Change to Always ask or Save File. Close the page to save changes. By default, Chrome does not automatically unzip files. However, there are a number of browser extensions that include this feature. Please temporarily disable all extensions. Please contact the support team for your browser for information on how to disable the automatic unzipping of files. Please try downloading from another browser or another computer. Disable all browser extensions or add-ons. Some browsers will open and unzip the file if you click the file from the download menu in the browser. Manually browsing to the download folder on your computer avoids this issue. Check your computer's default file association. This varies by OS and version so our best recommendation is to use your favorite search engine and search for how to set default file association in followed by your OS (Windows, Mac, etc) and version number. After the zip file has been downloaded you will then need to install it. This guide explains more.